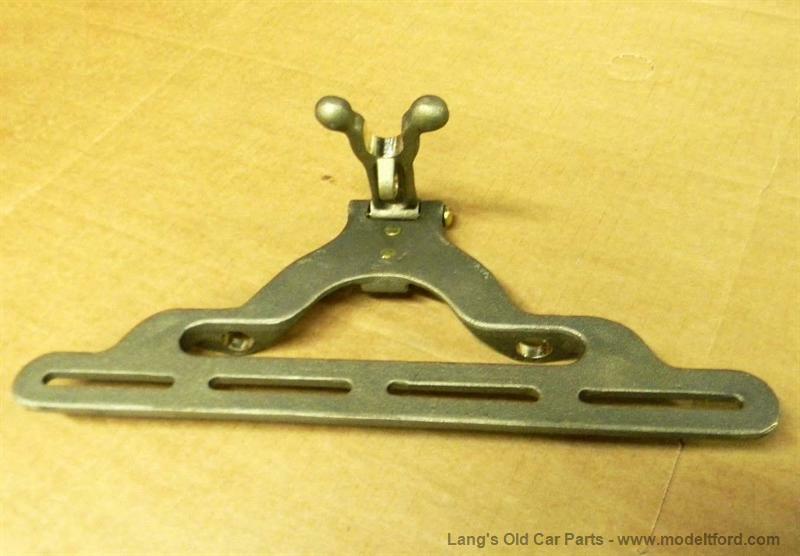 Front license plate and holder, solid brass, This is a copy of an original accessory made during the era of the Model T. Looks good on your car and is a interesting conversation piece. Made of solid, unpolished brass, you can paint or buff and polish it. This bracket also functions as an original anti-theft device. 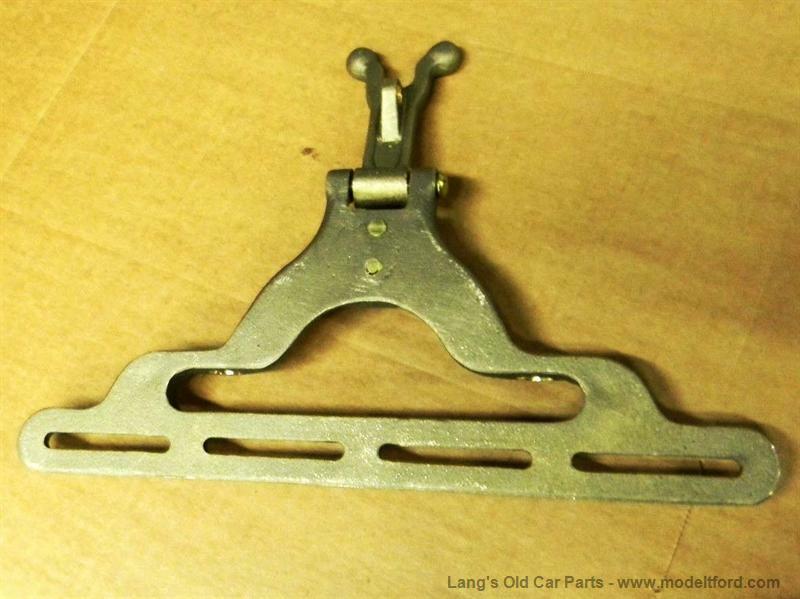 The U-Arm on the top lowers to hold the crank and has a place for a padlock to prevent the crank from being able to be used. 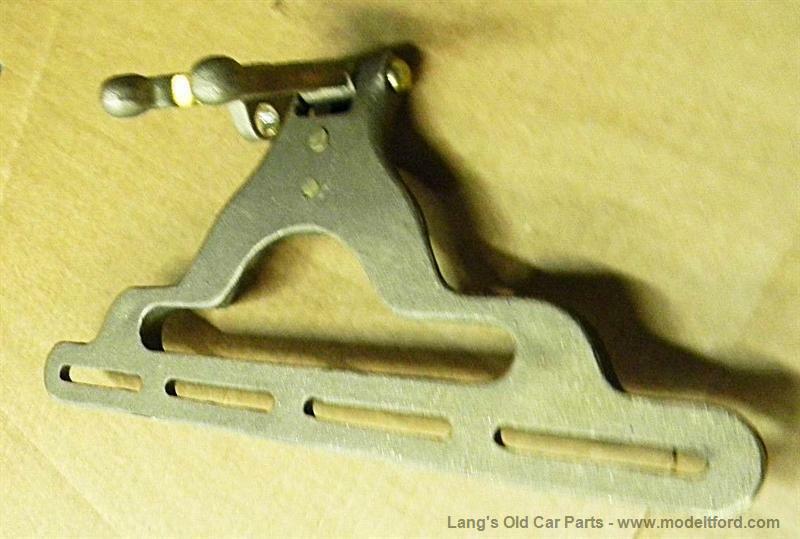 Designed to work the 1909-1921 Model T's that have the 2 U-bolts holding the front spring. It attaches to the U-Bolt nuts.